When your grandfather is Joe “Jelly Bean” Bryant and your father is Kobe Bryant, it’s only natural that basketball skills would be in your blood. It’s simple genetics, and greatness at the sport is the only possibility. In videos posted to his personal Instagram account Sunday night, Kobe showed us that his middle child is on the road to becoming the next great Bryant in basketball. Gianna “Gigi” Bryant is only 11 years old, but the footwork and ball-handling skills she’s already displaying show that she will be a beast in a few years. 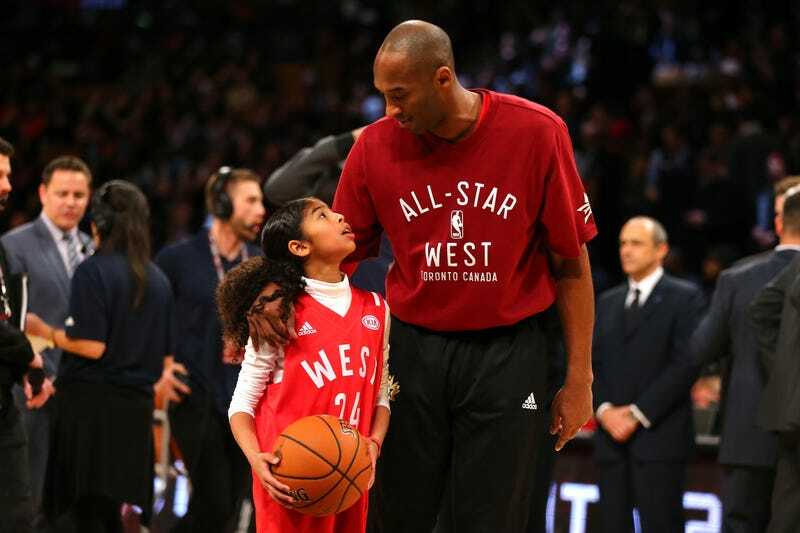 Kobe posted that he and his daughter were excited for the WNBA Finals rematch between the Los Angeles Sparks and the Minnesota Lynx, which had gotten him and Gigi in the mood to shoot some hoops. They got on their home court, and Gigi immediately showed that she could even put the moves on her basketball-legend father. She’s fast on her feet, and her wrist work had the ball swishing into the net, no rim. From long-range shots to close layups, she had it all in the bag. It will be interesting to see if Gigi continues to love the game as she grows, and exciting to watch if she actually decides to play when she gets older. For now, let’s enjoy these home videos of a great and his daughter, because black fathers sharing their passions with their girls is something I think we can all get behind.